November 24 - Braunschweiger Blues Band - SOLD OUT - 7:30 p.m.
SOLD OUT!!! 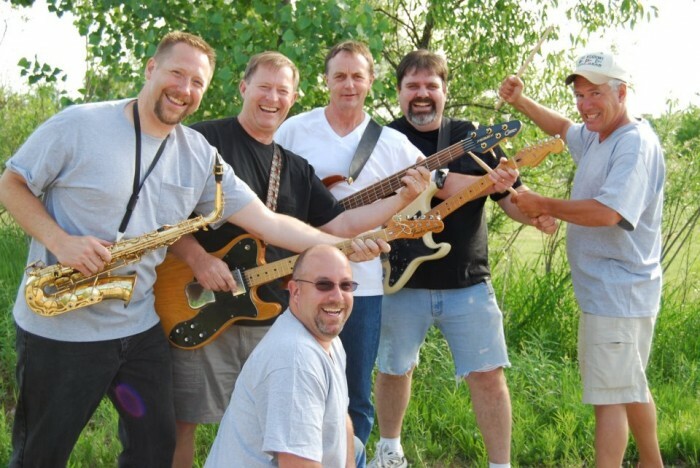 The Braunschweiger Blues Band will be back in the Black Box on November 24! Come on out for a great time with Doug Harmon and crew….these guys know how to have fun! This popular local group has a great sound and they get everyone up dancing, and having fun! Join us for a great night! Band members include: John Chandonnet on drums and vocals; Todd Juengel on guitar, keyboard and vocals; Wade Perkins on horns, keyboard and vocals; Randy Seabolt on bass and vocals; Doug Harmon on guitar and vocals; Angie Burgess and Lola Harmon-Ramsey on vocals; and Cousin Richie on vocals and sound technician. SOLD OUT!!! Black Box. General admission seating. 7:30 p.m. Tables can be reserved with the purchase of eight tickets.